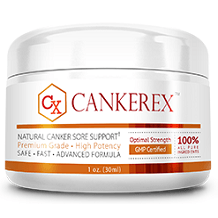 We took a look at the effectiveness of Cankerex Natural Canker Sore Treatment with our detailed review. This product has been proven to help treat, as well as give relief, to those who are suffering from canker sores. Not only does it help cure this ailment, it also assists in providing adequate vitamins and minerals to help prevent the condition from returning. If you wish to learn more about this particular remedy, please continue reading our review. Alum – alum is a well known astringent that is commonly used for treating cuts and bruises. Vitamin B12 – this helps promote better function of the nerves, brain and blood cells which in turn speeds up the body’s healing process. Propolis – propolis is a powerful antiseptic that also contains a decent amount of healing properties. Licorice – licorice is primarily used for treating digestive ailments, but it can also be taken by those suffering from infections caused by viruses and bacteria. Lysine – lysine is a well-known compound for treating cold sores. Folic Acid – this is one of the best sources of B vitamins that helps boost production of red blood cells. Basil – basil has been shown to protect the body against unwanted bacteria. Following the directions of use is important if you wish to gain the optimum benefits of the treatment powder. First, take a pinch of powder from the jar and spread it across the area in your mouth with the canker sores. Wait a few seconds and remove the powder. You will notice that your mouth will start to salivate. Pinch a small amount of powder again and mix it in a small glass of water and gargle with it for approximately three minutes. Using Cankerex is relatively safe and offers little to no side effects. However, there are certain precautions that you must keep in mind. Pregnant women and breastfeeding women or anyone taking another form of medication must first consult with their doctor before using this treatment. If by chance you experience a stinging sensation from using this medication, please discontinue use and contact your doctor as soon as possible. One 30ml bottle of Cankerex is priced at $49.95. You can also choose to get the monthly supply packages that their official website offers. They have a Starter Package that includes two bottles at $69.90; the Intermediate Package is a four bottle supply that is priced at $128 while the Best Value Package delivers six bottles for $219.90. 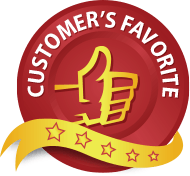 The Cankerex product comes with a 60-day money back guarantee that you can use to return the product if it does not meet your desired results. You can return any opened and unopened bottle as long as it is well within the 60 day money back period. The 60 day guarantee is actually more than enough to determine if this product works, as it usually takes about a month to treat canker sores using this type of treatment. Overall, the Cankerex Natural Canker Sore Treatment is a fine product to use if you are suffering from canker sores. It helps alleviate the pain, treats and assists in cleansing the infected area with its antibacterial properties. It also contains Vitamin B12 that can help boost the immune system to prevent relapses. The monthly supply package options and 60 day money back guarantee are also great safety nets for those who are still unsure whether or not to try this product out.